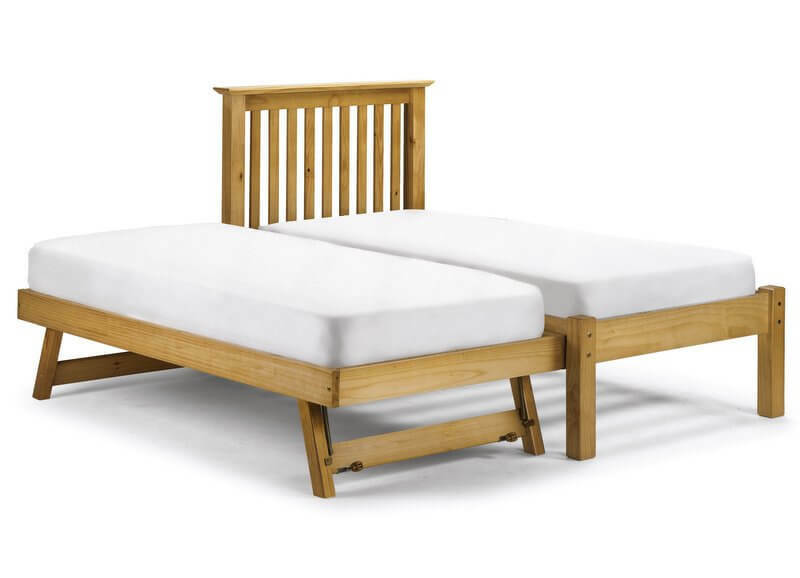 Shaker style bed frame with a pull out guest bed that raises to the same level as the main bed frame. Ideal for children`s and spare bedrooms. 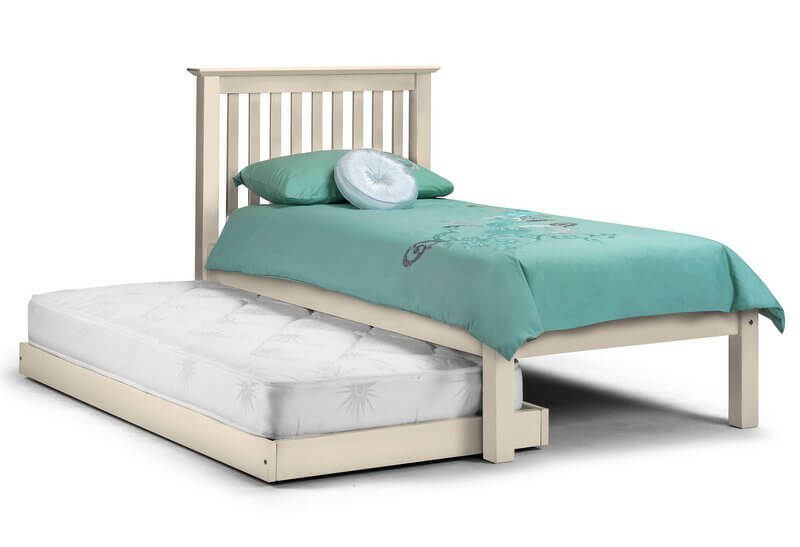 Children love having friends for a sleepover the Barcelona pull out bed provides a great solution. Quick and easy to pull out the under-bed and raise to the height of the single bed. Construction: Bed frame and pull out bed are made from solid pine and MDF. Both beds have a slatted base. Beautifully finished in a stone white lacquer. Colour: Stone white which is an off white colour not brilliant white. No need to struggle this hideaway bed is delivered by a two man delivery service to a room of your choice. If the delivery team believe that damage to the product or premises, or injury to themselves or others, may occur whilst delivering to your chosen room they will leave the goods in a safe and convenient place. 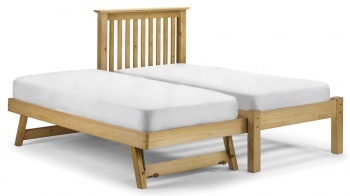 Fits two standard UK single mattresses available separately. (Mattresses and bedding not included).